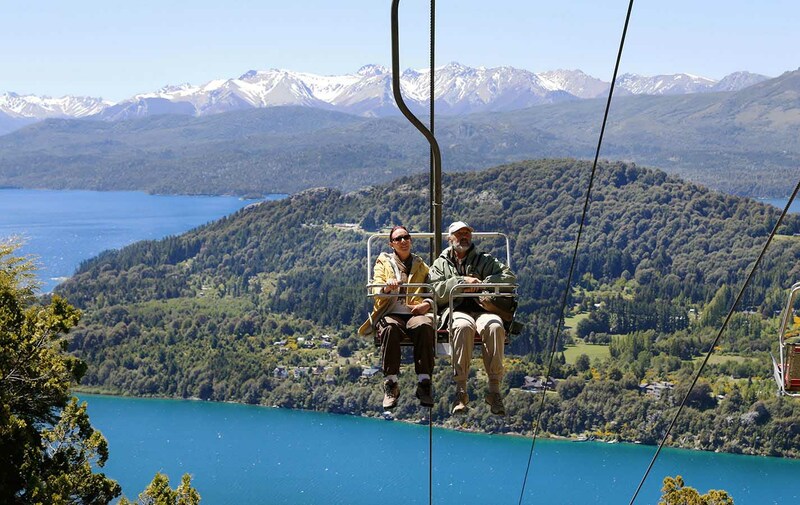 Ready yourself to be ‘wowed’ by the picturesque setting of the mountain town of Bariloche. The inspiring panoramic sights of this charming southern region await you, as you head out on an introductory tour of its gorgeous scenery. 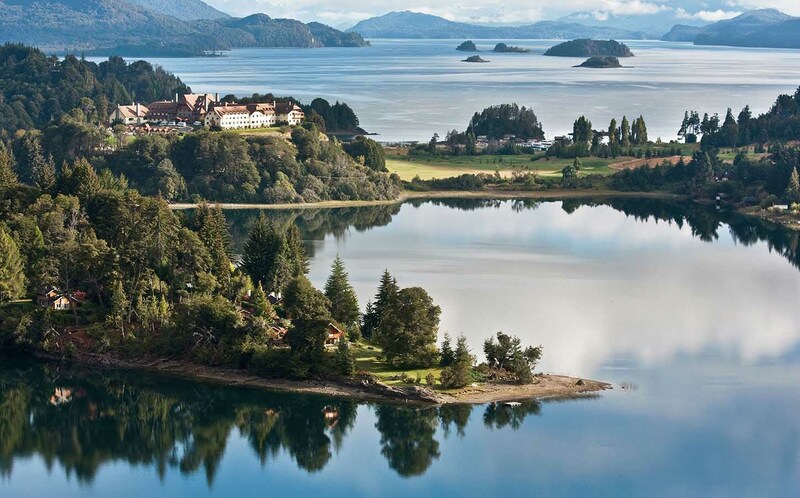 Experience breathtaking views of the area’s largest lake, Nahuel Huapi, with its inviting blue-tinted waters, set against the backdrop of the majestic, snow-capped Andes Mountains. You’ll also experience one of the world’s 10 most beautiful panoramic views, as rated by National Geographic. With so many stunning panoramic viewpoints, you’ll have plenty of opportunities to capture Mother Nature’s wonderful work with pictures, and turn them into long-lasting memories! 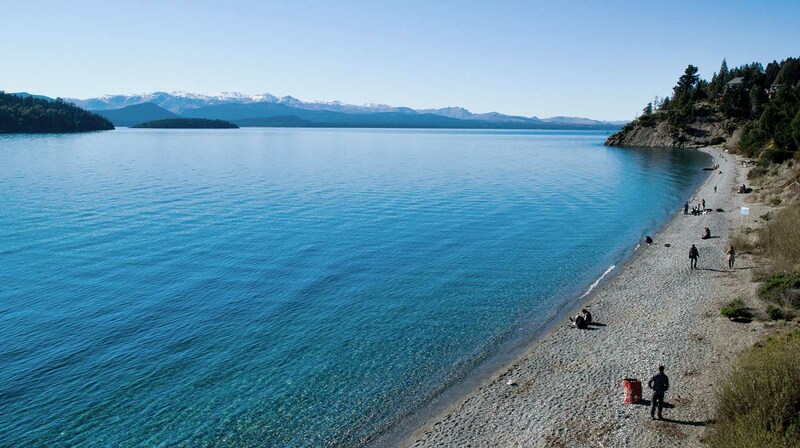 Your tour begins, as you follow the shores of the pristine Nahuel Huapi Lake, as it trails along Ezequiel Bustillo Avenue. Our first stop will be at Bonita Beach; known for its windsurfing, scuba-diving, and pebbled beachfront. From there, we’ll head to Mount Campanario, where we’ll take a chairlift up the 3,444 foot (1,050 meter) summit. Once we reach the top of the hill, you’ll be rewarded with a 360-degree view of the area, while being treated to magnificent, long-range panoramic vistas of snow-capped peaks, pristine lakes, and lush plentiful forests. These views are so impressive that they’ve garnered accolades from National Geographic, as one of the 10 best panoramic views in the world! 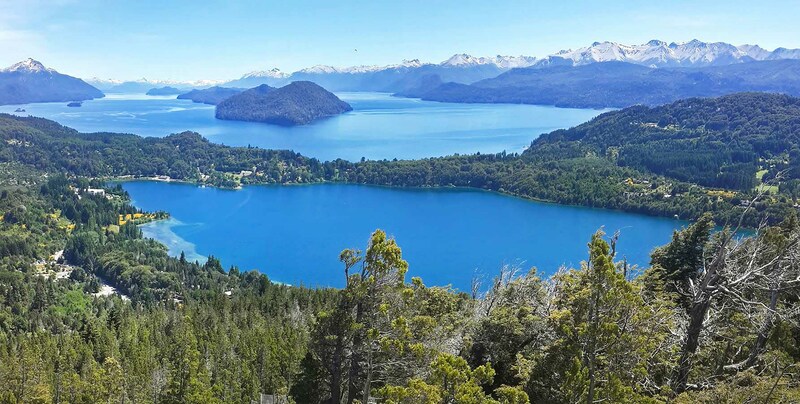 After spending time atop Campanario Hill, capturing plenty of pictures, and taking in the serene beauty of your surroundings, we’ll head towards the Llao Llao Peninsula, where you’ll spot the famous Llao Llao Hotel, located near the foothills of the Andes. Our last stop will be San Eduardo Chapel, a unique work of neo-gothic architecture, built in 1938 by the same architect who designed the Llao Llao Hotel. 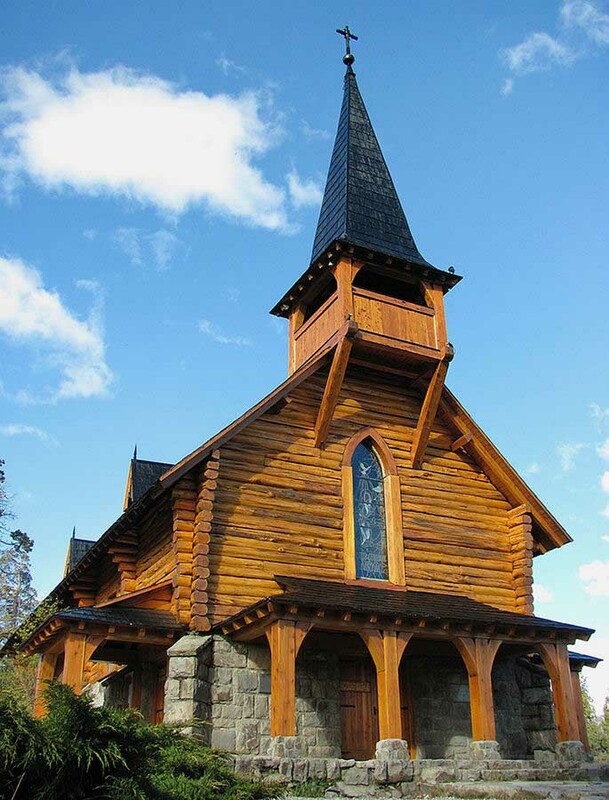 Constructed with stone and cypress logs from the area, the chapel also boasts lovely stained glass windows, depicting religious scenes and stories from the Bible. 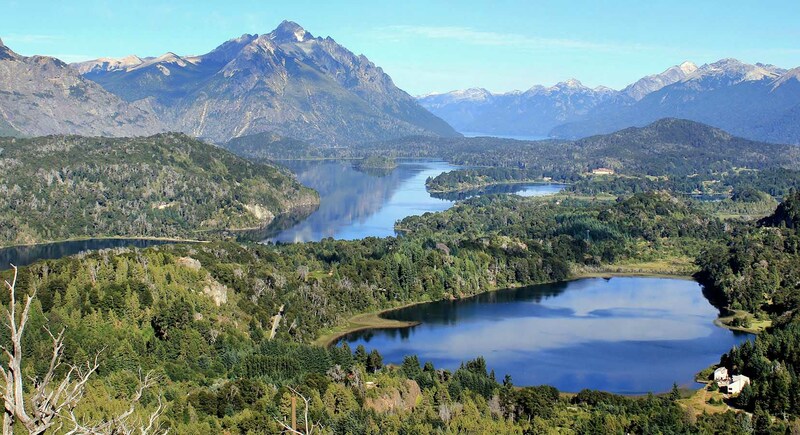 This is an excellent panoramic location, from where you can enjoy beautiful views of the forest, mountains such as Mount Tronador, and many lakes, including Nahuel Huapi and Moreno Oeste. With our camera loaded with memories, and our lungs full of fresh mountain air, we’ll start making our way back to our hotel having marveled at some of nature’s most awe-inspiring scenery. Duration: half day (approximately 4 hours from the time you leave your hotel until you return). Includes: Ticket for chairlift to the top of Campanario Hill.